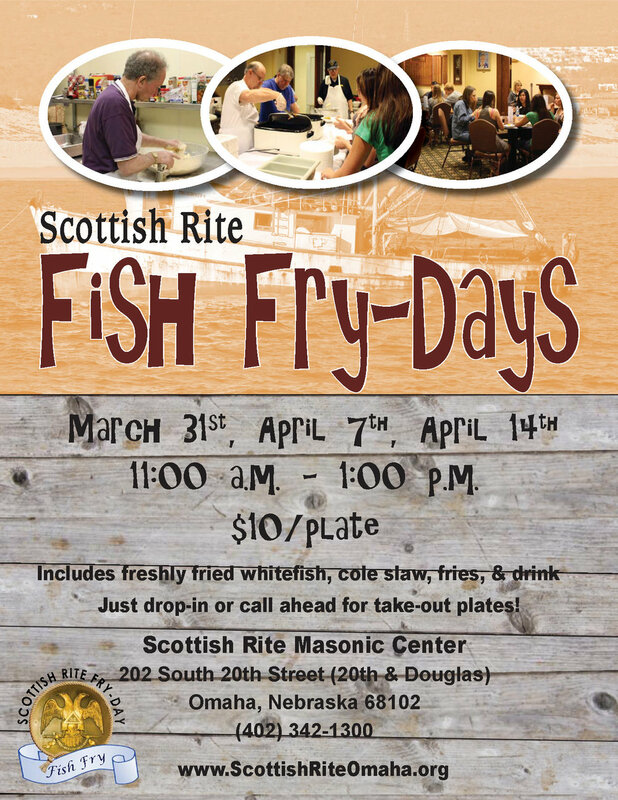 The Fry-Day fish fries during the Lenten season are always a popular tradition at the Scottish Rite Masonic Center. Come join us on Friday, March 31, April 7, and April 14th for freshly fried whitefish, fries and Cole slaw, and a beverage from 11:00 to 1:00 p.m. Cost is $10/plate. To-go plates are available as well - call (402) 342-1300 and we will have them ready for you !